Learning is arguably one of the most incredible abilities of human beings. How happy are we all that each generation does not need to literally reinvent the wheel? That’s how we eventually managed to walk on the moon and are now working on putting our feet on other planets. Learning, however, is often neglected and DFID is no exception. In 2014, an Independent Commission for Aid Impact (ICAI) report concluded that “excellent learning is essential for UK Aid to achieve maximum impact and value for money” and indicated that, overall, DFID did not learn consistently well. In response to this, the importance of learning was prioritised across DFID programmes, and at times, it became something like the Holy Grail. In early July, two DFID programmes walked the walk and learned together. As such an infrequent and stimulating event, both team leaders decided to share this wonderful experience, in the hope of inspiring others. SPRING is a DFID, DFAT and USAID-funded programme that aims to help small and growing businesses prototype innovative products and services that enhance the economic outcomes of adolescent girls. Now in its fourth year, SPRING has been refining this experimental approach, adapting the programme to increase impact, and capturing what we’ve learned. To help drive further investment in girls, SPRING is working with like-minded partners and programmes that want to learn from our experience – and take it further. If SPRING invented a wheel, then by working with others, we can build chariots and conquer the world. MUVA is a DFID-funded programme designed to test approaches for female economic empowerment in urban areas. As a learning programme, MUVA has a mandate to push the boundaries of knowledge, to create evidence and – in the name of the women and girls we work for – to be efficient at it! We get excited about any leapfrogging opportunities – the chance to skip over inferior, less efficient, more expensive ways of doing things. And yet, we’re not asked about the process or how will we apply these lessons and change our previous ways of working. The expectation is to write a report, release it online and hope many people are influenced by it. MUVA wants to adapt the SPRING model to test an approach that promotes female economic empowerment through a self-sustaining accelerator working with small and medium enterprises. But the MUVA team knows how challenging this can be in low-income countries where not much else in the economic sector is promising, and not many interventions have been able to successfully work with this famous missing middle – or the gap between microfinance needs and what traditional institutional financing provides in emerging and frontier markets. SPRING has dealt with this challenge and come a long way since the start by honing an in-depth approach to scaling innovative business models. The SPRING team is interested in helping others adapt this approach in order to strengthen the ecosystem for girls and young women. Together, both programmes agreed to maximize the return on DFID’s investment by joining forces and building on what SPRING has created instead of going back to the starting line. Since it is difficult to ensure this happens by sharing knowledge products online, the teams met face-to-face and put their heads together to build this new approach and leverage their collective experience. 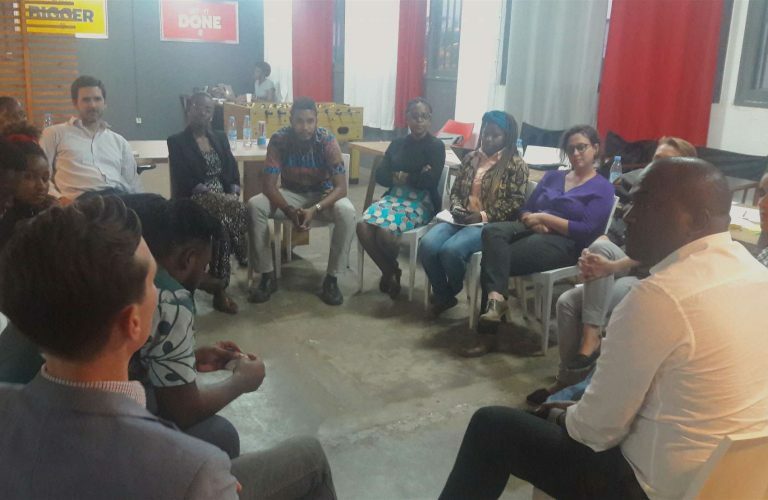 During the working session in Maputo, a participant asked: “What would it look like if we would consider the success of others like our own?” We responded to that question in a beautiful way, and we all came out ahead. It could be valued as the equivalent of years of research. The companies, the programmes, and most importantly – the women and girls we work with will come out winning. We hope this example will inspire others to do the same. And we hope that more DFID programmes will be encouraged to take this approach. As ICAI indicated, to achieve maximum impact and value for money you don’t need websites filled with knowledge products, you need to ensure your programmes build on each other’s knowledge. They are your implementers. Reports are only one – and a limited – way of doing this. The price of not doing it is less impact for the people we are all working for. We think this is unaffordable.